We’re all self-proclaimed experts on our particular vehicle, but most of us recognize that our knowledge is actually pretty limited. For instance, do you understand the purpose of car filters? Were you even aware that there are different types of car filters? We don’t blame you if you don’t know a whole lot about these particular parts, as they’re among the most overlooked aspects of a vehicle. However, these filters play a rather important role in your vehicle’s operations. Air filters help your motor continue to operate to its full potential, while the fluid filters will make sure that your gas tank is delivering optimal efficiency. Meanwhile, the cabin filters prevent natural irritants from entering the cabin, keeping you and your passengers healthy and comfortable. What Is the Purpose of Car Filters? Essentially, these filters prevent your vehicle from being polluted by natural debris. Dust, dirt, and pollen could get into your engine and compromise performance, and can also enter the cabin and irritate the occupants. In order to enjoy optimal operations and passenger health, these filters are a necessary inclusion to your vehicle. The air filter stops these particles from entering the engine. These impurities could get into the oil, ruining the fluid and eventually killing the entire unit. Performance decreases will be the first indication of an issue, and drivers will soon recognize that their engine fails to operate altogether. Meanwhile, fuel filters play a similar role as air filters, preventing the dirt and grime from ruining the gasoline, which could subsequently reduce fuel economy. Over time, drivers may even find that their fuel tank is compromised, whether it be due to leaks or irreversible build up of unwanted contaminants. Finally, cabin filters keep these contaminants from reaching the vehicle’s occupants via the air conditioner or heating vents. If you constantly struggle with allergies, these filters will prevent you from sneezing or coughing during your daily commute. 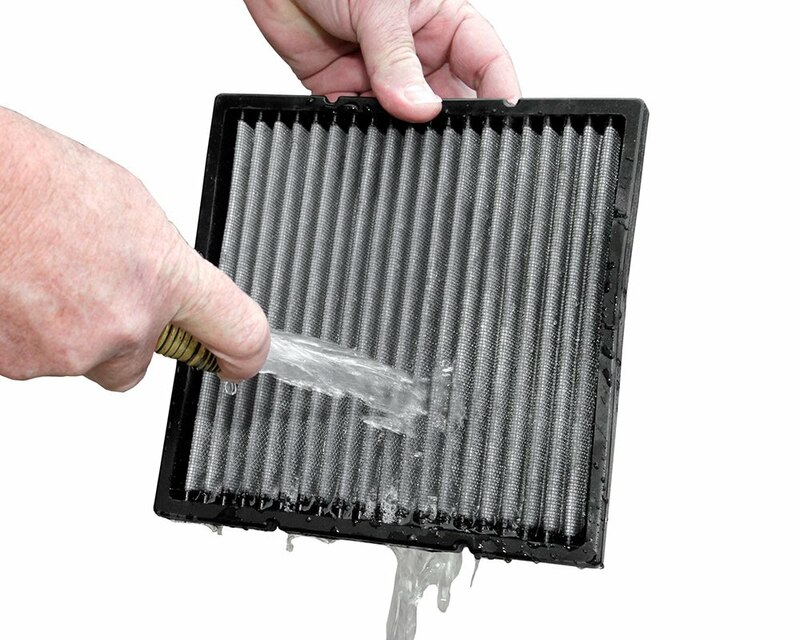 The best time to replace your car’s various filters will depend on several factors. 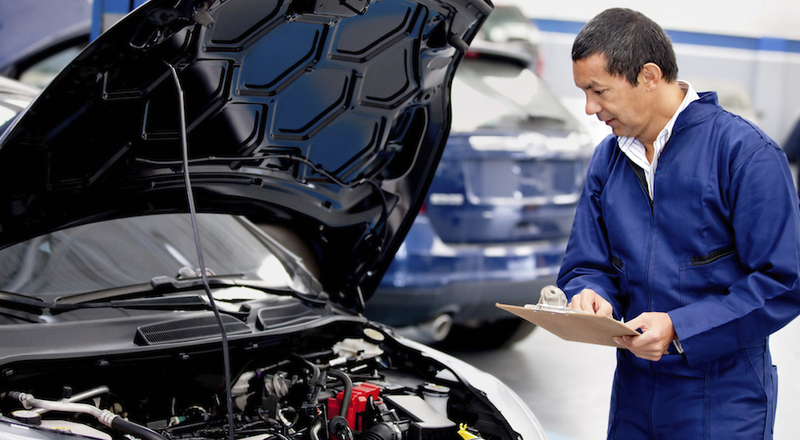 Those who generally keep good care of their vehicle will find that these parts last longer, while those who test their vehicle to the limits may find a more rapid reduction in performance or capabilities. Those who live in dusty, sandy areas may also find that these corresponding parts fail significantly quicker. After all, the air filters have essentially been included to prevent that sand and dust from entering the vehicle. When these parts are forced to filter through these natural imperfections more often, they’ll predictably decrease in effectiveness. These filters also experience general aging and decay over time, essentially losing their ability to monitor the irritants entering your vehicle. With more particles entering the vehicle’s mechanics, various aspects of the car will see decreased abilities. By replacing your filters, drivers will immediately notice increased engine performance, and they’ll also find that the car’s fuel efficiency has improved. The engine filters will keep your vehicle purring, the cabin filters will prevent your passengers from sneezing, and the fuel filter will ultimately reduce trips to the gas station. Of course, your vehicle’s manual will recommend the best time to have these parts replaced. 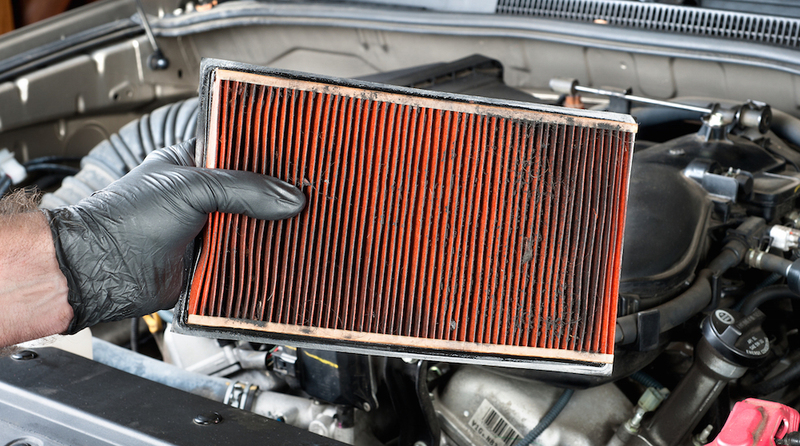 It’s generally recommended that drivers replace their filters every year or every 12,000 miles. Considering the potential impact these compromised parts could have on your ride, it’s best to stick to this schedule. How Do I Know if My Filters Are Failing? Each filter will show distinctive signs of failure. The air filter will signal with decreased performance from your engine. If you notice an inability to accelerate, odd engine noises, or a general reduction in performance, it could be an indication of a failing air filter. Some studies have found that compromised engine filters could reduce performance by more than 11-percent, certainly adding an incentive to replace the part. Drivers could also check their engine’s fluid, as gritty, excessively black oil is a clear warning sign of a problem. As you’re driving, you may find that the air coming from your vents isn’t as powerful as usual. You may even find the air is irritating your passengers’ sinuses. That filter is probably letting all of the pollutants into your cabin, making for an unpleasant driving experience. Finally, failing fuel filters will result in lower fuel efficiency. If you’ve noticed that stops at the gas station are becoming from frequent, the issue could be attributed to the fuel filter. Furthermore, performance specs (like horsepower and torque) could also be reduced. Can I Replace the Filter Myself? You realistically could, although we’d always suggest leaving these types of jobs to the professionals. These mechanics will understand the proper filters to use, and they’ll also understand the nuances of installation. A car’s manual should provide details on the necessary replacements for each of your vehicle’s filters. However, these guides are often misplaced, meaning drivers have to rely on internet suggestions. Professional mechanics will know the proper filter for your vehicle, so you won’t have to worry about wasting money on an improper fit. Installation is usually rather simple. The parts are relatively easy to identify, so drivers won’t struggle to find the filter. Plus, it’s rather simple to remove these compromised parts, but there are certain vehicles where installation/removal is more difficult. Luckily, if you do visit a mechanic, you shouldn’t expect the service to take particularly long. Assuming these professionals know what they’re doing, you should find that your vehicle will be ready in no time. These filters are relatively straight-forward. They perform the function that their name touts: they collect all of the dirt and natural impurities and prevent them from reaching several of your vehicle’s more essential parts. Ultimately, if you seek ideal efficiency, interior comfort, and full performance potential from your engine, it’s worth monitoring the status of your vehicle’s filters.